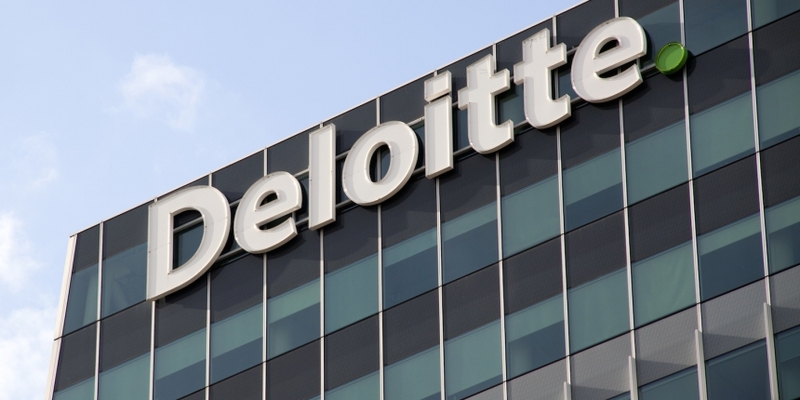 One of the largest accounting firms in the world, Deloitte, says it has partnered with five blockchain startups and built a wide range of prototypes to service industries including insurance, employee management and cross-border payments. The ‘Big Four’ accounting firm has built 20 working blockchain prototypes in partnership with startups BlockCypher, Bloq, ConsenSys Enterprise, Loyyal and Stellar. Four of the prototypes will be demoed live on stage at the Consensus 2016 conference in New York City. Deloitte partner Eric Piscini told CoinDesk that, while the companies represent a wide range of businesses, his company’s decision to partner with them was part of a global strategy to help push blockchain from theory into real-world applications. Talking as part of the Consensus event’s ‘Make it Real’ section, Piscini said each of the 20 prototypes are fully functional. While details about the actual prototypes are forthcoming, he did break down the partnerships into three categories based on the types of products each has created. In the banking category, two startups are helping Deloitte build what it calls “digital banks” on a blockchain. While the banks aren’t built from the ground up on the blockchain, different components of the services have been constructed and are currently being marketed to banks. One of Deloitte’s newest partners is California-based BlockCypher. The company which has raised $3.5m venture capital is providing Deloitte the core technology, an API layer, for multiple digital banking tools built on blockchains from Ethereum and bitcoin, as well as custom, private chains. Based in New York, ConsenSys Enterprise is one of Deloitte’s earliest blockchain partners and is helping create a series of prototypes for financial products for sale to banks. The company is part of the ConsenSys hub of companies building a wide range of products on public and private versions of the Ethereum blockchain. Piscini put both BlockCypher and ConsenSys in a category with the third partner, Bloq, reflecting his hopes that all three will help Deloitte scale blockchain on a global level. However, he distinguished Bloq from the other two because, instead of banking, the Chicago-based firm is working to help Deloitte launch a blockchain-agnostic insurance product. The third category of partners is what Piscini described as applicable for specific use-cases. One startup, Loyyal, previously known as Ribbit.me, specializes in reward programs; the other, Stellar, in cross-border payments. Stellar on the other hand is unique among the partnerships for being a non-profit foundation, designed to facilitate cross-border payments. The Stellar project with Deloitte is a financial services initiative that Piscini indicated is being built specifically for a bank outside of North America. “The client was amazed by how fast and how cheap those transactions were,” he said. Piscini explained that the construction of each of the 20 prototypes depended on both halves of the partnership contributing to their creation. However, he added that no board members were exchanged as a result of the deals, and no financial investment was made as a way to maintain the parties’ autonomy. While the industries served by the partnerships are diverse, a single strategy on behalf of Deloitte brought them to the company, he said. Instead of forecasting the potential revenue generated by each company, Deloitte broke down the potential disruption from blockchain by industry and by sector to determine where the largest potential lay. Then, the company reverse engineered their relationships to meet those potential demands. For example, of Deloitte’s “huge library of use-cases”, the company believes that cross-border payments represents a $20bn disruption opportunity. Three of the five partnership are already generating revenue, although the company declined to reveal which. Piscini, who is also an owner of Deloitte, said that the privately owned company is in no rush to turn a profit on these deals. “When you are a partnership, you don’t report to Wall Street every week or every quarter, we report to ourselves,” he said. Deloitte last year generated $35.2bn in revenue, an increase of 7.6% in local currency terms. Earlier this year, CoinDesk published a report from Piscini suggesting that this year would be the year blockchain “becomes a reality”, thanks to the work of consortia and “next generation” platforms like Ethereum. In his latest conversation with CoinDesk, he said Deloitte’s clients have already asked for blockchain products covering aspects of insurance, oil and gas, and asset management. Later today, the Deloitte partner be giving a live demo of four of the 20 prototypes that are already fit for consumption – depending on what the customer needs done.